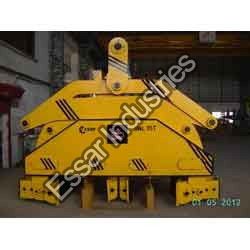 We are one of the reputed manufacturers and suppliers of Vertical Coil Tong. 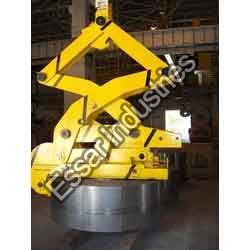 These tongs are much applauded in the market for superior strength and reliability owing to their designed being done as per latest industrial requirements. The offered tongs are available with us in varied preferences for serving diverse demands of customers with uttermost perfection. Double Rim Vertical Coil Tong is used for light gauge and high finish coils. The linkage mechanism enables the grip pads provided on either outer diameters and inner diameters to grip gently minimizing the gripping pressure required per sq. area; preventing Coil damages. Precisely designed these devices are also available in customized dimensions and technical specifications. Looking for Vertical Coil Tong ?